Isn’t this greatest easiest thing!? I add a little orange zest and a squeeze of the orange juice to it. Just adds another little depth of flavour. That sounds yummy. I’ll try some of your recipes and tell you how they go. Also, nice food pictures. Do you take them yourself? I’m trying to learn the art. Any tips? 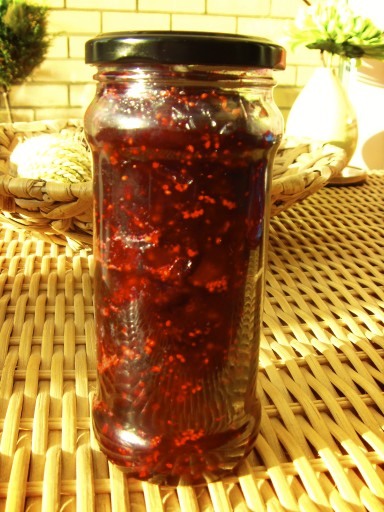 I love the colour in your jam! It is gorgeous, and your styling in your photos is fantastic! This jam looks great! I recently started making jam, but never thought to use cranberries! I’ll have to rush to try this before they go out of season!